Join us tomorrow for Ty the T-Rex! 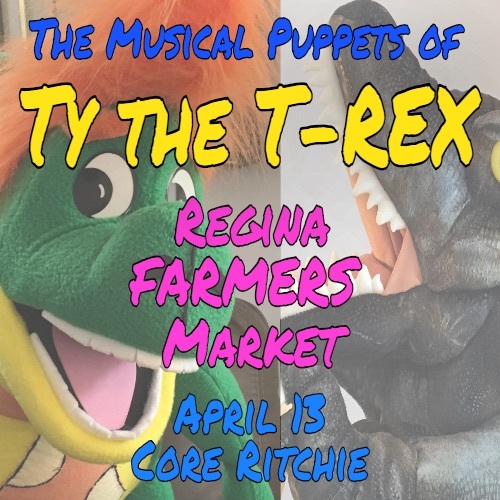 Bring your little local eaters to market tomorrow for a special musical puppet extravaganza featuring Ty the T-Rex. Ty will be performing with his friends (both human and puppet) at 10 am and 11 amin the Concourse. Join us for this FREE event and then stick around to do our RFM Kids' Club craft, pick up all your local groceries and goodies, and have Larry of Larry's Bread Machine cook you breakfast. 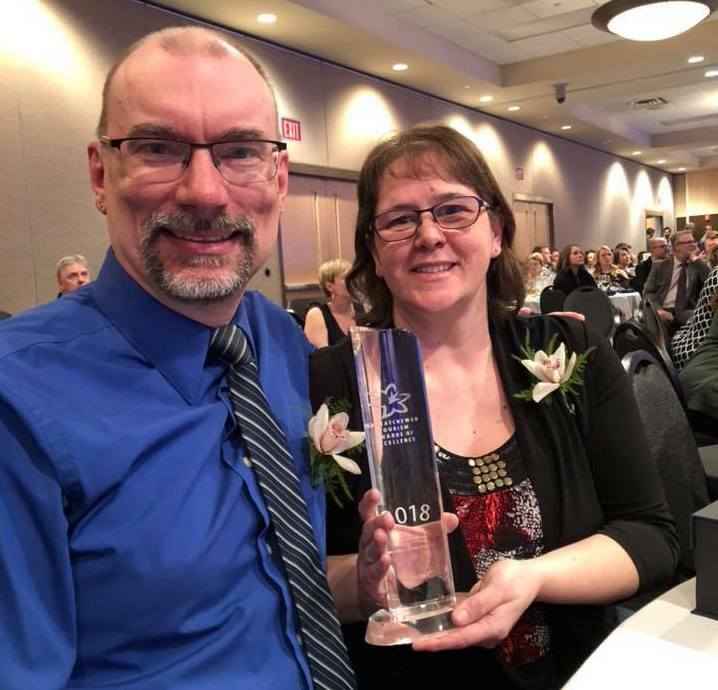 ...Of long-time RFM regulars Over the Hill Orchards, for taking home the Tourism Saskatchewan Award of Excellence for Business of the Year (under 20 full-time employees)! Dean and Sylvia (pictured here) have been sharing their beautiful orchard products with RFM customers for more than a decade, and we're delighted to be part of their inspiring journey. You can find Over the Hill at the market tomorrow (April 13), Easter weekend (April 20), and then again on May 11 (on City Square Plaza!) after a two-week break. Pop by to offer your congratulations in person, and pick up some of their orchard-grown wine, spreads, juice or frozen fruit! 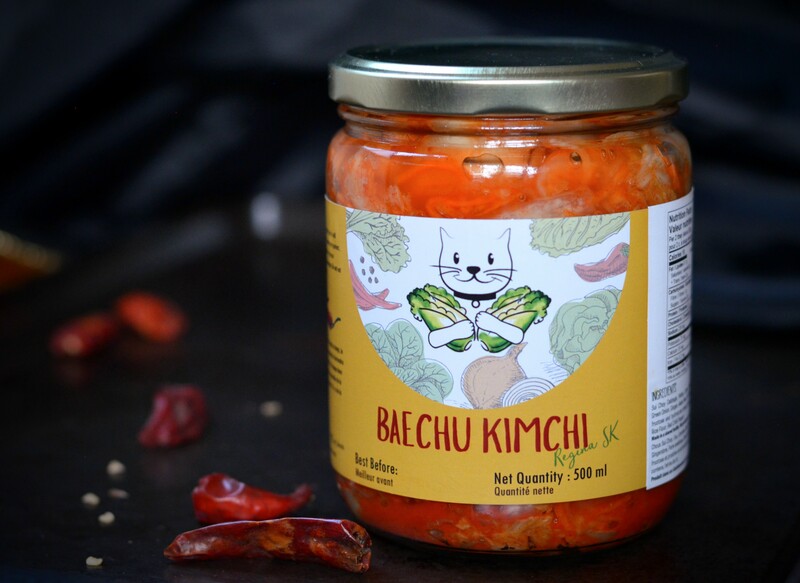 Tomorrow marks the first market of 2019 for Baechu Kimchi (pictured above). We've missed Atidthan's spicy and delicious traditional Korean kimchis... if you haven't tried them before, stop by her booth to try a sample. OR, if you've collected 20+ punches on your Flok digital punch card, cash them at tomorrow's market in for a free jar of kimchi! El Tropezon - our 2018 RFM People's Choice Award winners are back after a visit home to Mexico, and will be offering their array of wonderful prepared Mexican foods, including homemade tortilla chips, salsas, tamales, and more! Pure T Organics - Did you know that it's recommended to eat a 1/2 cup of pulses (dry peas, beans, lentils, and chickpeas) three times per week? Bumping up our pulse consumption improves nutrition by adding fibre and protein to our diets, and reduces our environmental footprint for good measure. Thankfully, Pure T is back at market tomorrow to help us achieve our Half-Cup Habit goals with their beautiful organic pulses! Here are some pulse-forward recipes to help provide some inspiration! Something Sweet by Fadiah - Whether or not you've hit your nutrition goals for the week, who can resist Fadiah's gorgeous Easter-themed baking (pictured here)? 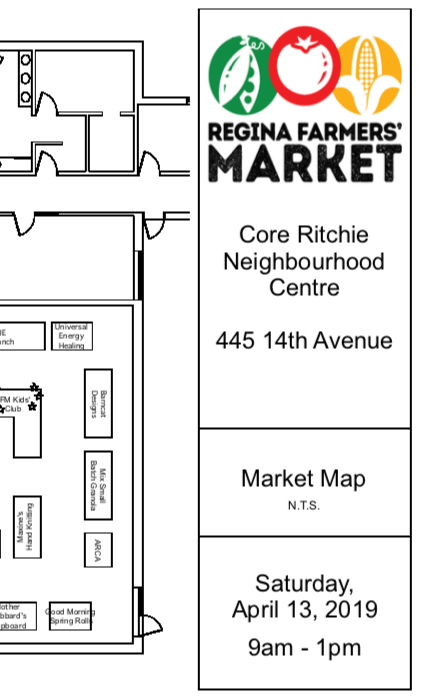 Find her back at market tomorrow, for the rest of April, and when we hit the Plaza! She'll be taking pre-orders on Easter cakes tomorrow for delivery at market on April 20. It's time to start stocking up for your Easter feasting! Our Easter market will take place next Saturday, April 20, and promises to be one of the biggest and most festive indoor markets of the spring! 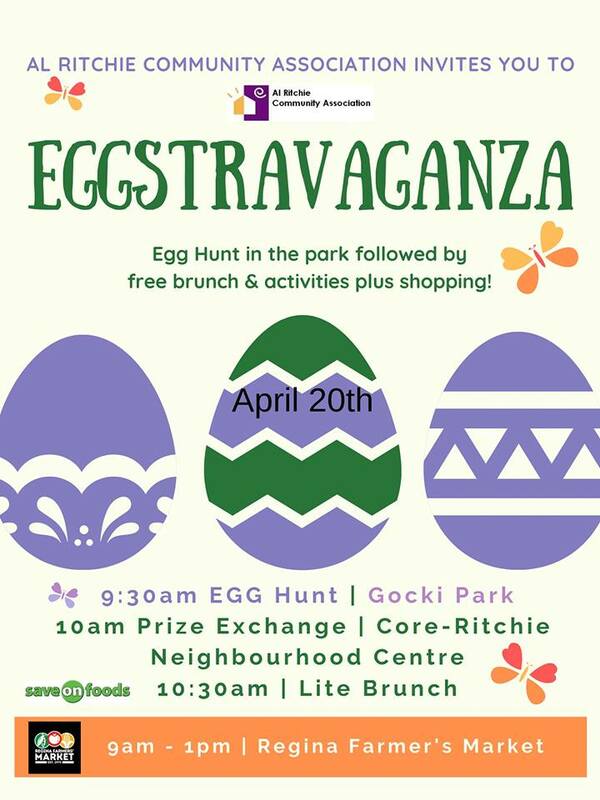 In addition to featuring all the best local ingredients and delicacies, we can't wait to partner with the Al Ritchie Community Association (ARCA) on the Eggstravaganza gigantic outdoor egg hunt! It takes place bright and early next Saturday, April 20... so bring your kiddos down to register for the hunt starting at 9 am! Participation is FREE, and includes a prize exchange for eggs and breakfast (while supplies last!) following the hunt.